SUMMARY: The charge for Residential Trash Service is $22.71 per house per month. For the 5 months from July 2015 through November 2015, property owners have received a prorated Direct Assessment for waste and recycling services on their Ad Valorem Property Tax Bill. 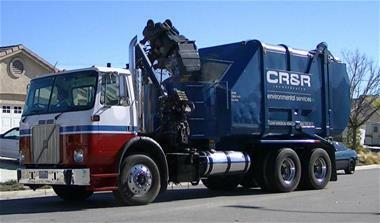 Beginning in December 2015, property owners have been billed directly for trash hauling services by the waste hauler - CR&R, Incorporated. CR&R, Inc. will prepare six statements per year billing for waste and recycling services; each statement will reflect service charges for two months. These statements will reflect $22.71 per month multiplied by two months, multiplied by the number of household units on the account, plus any special or extra services requested by the property owner. In July 2015, the City entered into a new residential waste hauling franchise agreement with a new trash company called CR&R, Incorporated to begin providing trash removal services in November 2015. The old hauler’s services were billed annually on Los Angeles County’s Ad Valorem Property Tax Bill. The new hauler’s charges are billed directly via a statement being mailed to customers by CR&R, Inc. every other month. Changes to the franchise agreement have been anticipated for the last year because the old hauler’s franchise agreement was expiring in November 2015. These property tax bills reflect a twelve-month fiscal year taxation and assessment period that begins on July 1 and ends on June 30 of the following year. Under the old billing system, the City would place a Direct Assessment for an entire 12 months of waste and recycling services onto each property owner’s property tax bill, designated as ARTESIA TRASH. The annual charge was equal to the number of homes or residences on a parcel multiplied by $22.71 per month multiplied by 12 months. The City of Artesia is required to submit its Direct Assessments for Los Angeles County’s Ad Valorem Property Tax Roll very early in the fiscal year. Changes to the franchise agreement have been under consideration for over a year, but the form and details of these changes were unknown, so the City correctly made the assumption that services would stay exactly the same for the remainder of the franchise agreement’s term, and placed a charge on the FY 2015/2016 property tax bill equal to the remaining term of the old franchise agreement, which was five months of service – July through November 2015, at $22.71 per month multiplied by the number of homes on a parcel. Because the new hauler’s charges are billed directly to the customer via a statement being mailed out by CR&R, Inc. every other month, customers will now experience their trash hauler more like they would a utility company. We hope that this explanation clarifies that the FY 2015-2016 Ad Valorem Property Tax bills reflect a 5-month charge for waste and recycling services, not a 12-month charge. For additional information, or if you would like to discuss your bill with a City representative, please contact Louis Talamantes at (562) 865-6262 extension 248.